Essential Ibiza have made a lovely feature on my book Pure Goodness and how it all started. As a jet-setting international model, looking after your health and wellbeing is just as important as maintaining those cover girl looks. So when Danish beauty Tanja Ting started to experience anxiety, fatigue and dizziness amongst a growing list of other debilitating conditions that only seemed to get worse over the years, she decided to completely overhaul her lifestyle. Diagnosing herself with candida overgrowth – the overproduction of a fungus that feeds on sugar and refined carbohydrates – Tanja realised that she would literally have to ‘starve’ the condition by cutting out certain foods. She says, “I didn’t want to settle for daily exhaustion, lethargy, cravings, anxiety and insomnia. One month in and my life had changed full circle. Physical and emotional problems I’d had for more than a decade disappeared simply by changing my diet.“ After eating ‘clean’ for several months to restore the damage candida overgrowth had caused her body, the model-turned-goldsmith eventually began to experiment with her own recipes and allowed indulgent yet nourishing foods into her new diet. It was this journey of discovery that has led her to share her experiences in a beautiful new recipe and wellness book called Pure Goodness, out in February 2016. 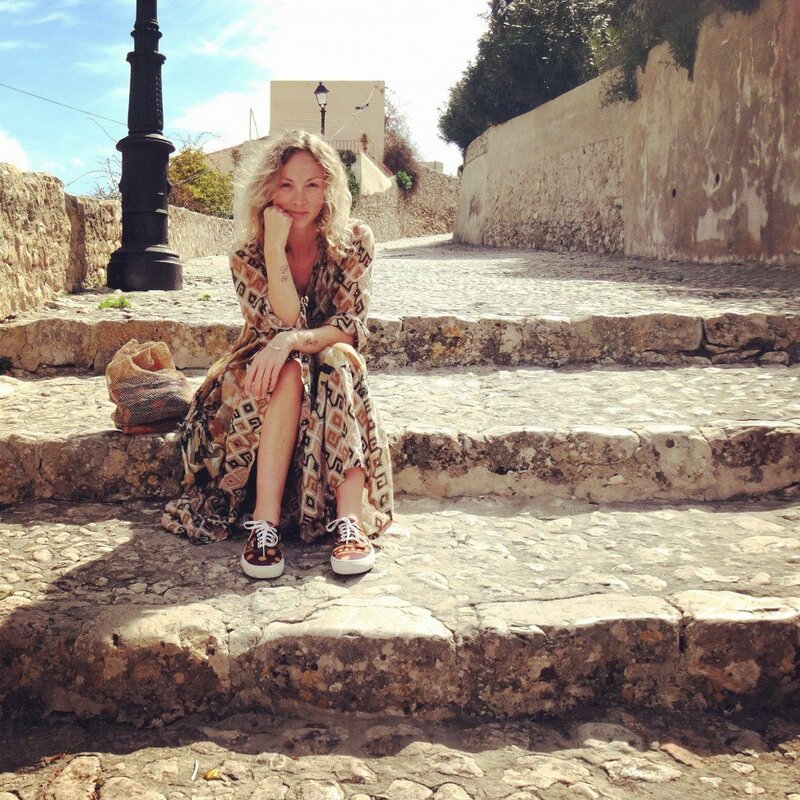 Living in Ibiza, Tanja has collaborated with some of the island’s top chefs and most popular eateries to put together a selection of recipes that are easy to follow, made from natural ingredients and designed to promote health and wellbeing – as well as being totally delicious, of course! With contributors including The Giri Café, Picadeli, Wild Beets, The Rabbit Hole, Passion Café, Can Guimo and La Paloma Café, readers can experience authentic White Isle flavours while enjoying dishes that are sugar and gluten free, packed with nutrients and designed to combat cravings. Pure Goodness is split into sections covering both savoury and sweet breakfast ideas, lunch and dinner options for vegetarians as well as those who love fish, chicken and meat, and those all important on-the-go snack ideas. The book also contains chapters on delicious dips and health-boosting juices and soups. Accompanied by stunning photography that shows off the beauty of island life as well as Tanya’s creations, the mouthwatering recipes include Baked Avocado with Egg for breakfast, Cranberry Energy Balls for in-between meals, and several gorgeous mains for lunch, dinner and beyond. La Paloma Café’s Quinoa Salad makes for a fresh and colourful option any time of the day while a healthy take on the traditional Sunday Roast Chicken will go down a treat with all the family.